Dark, instant tan for Night, with a Light, radiant glow for Day. 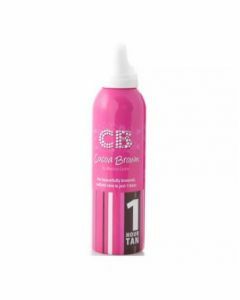 Delivering another first in tanning, Cocoa Brown by Marissa Carter Night & Day Instant Wash-Off Tan raises the beauty bar with a revolutionary 24 hour approach to sunless tanning. Dark, instant tan for Night, with a Light, radiant glow for Day. When you apply NIGHT & DAY TAN you will immediately see a dark Cocoa Brown instant colour on your skin that doesn't need to develop and can be worn out within minutes of application. When you shower the morning after your night out - NIGHT & DAY TAN will leave a light, radiant glow on your skin that will last up to 5 days, perfect to camouflage the grey skin a night out can produce! Vegetable derived DHA and No Parabens - kind to sensitive skin. As always Cocoa Brown tan is brown not orange! 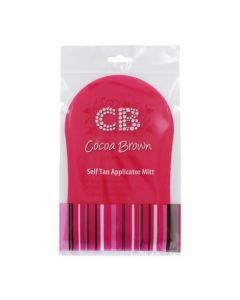 Apply Cocoa Brown by Marissa Carter Night & Day Tan and colour appears instantly - get dressed and enjoy your night out!